Arthur Kay Rogers, 81 of Phoenix, Arizona, passed away peacefully on October 6, 2016. Kay was a devoted husband, loving father, affectionate grandfather and doting great-grandfather. Kay’s professional career in construction began in his early teens under the tutelage of his father. Kay graduated from Arizona State University with a degree in Civil Engineering in 1962. 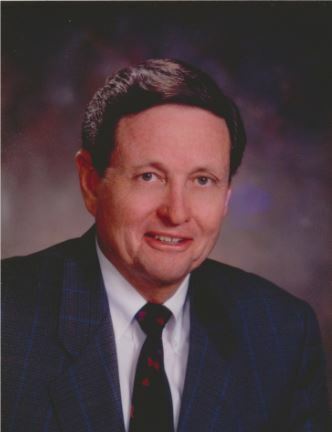 He continued working with The Tanner Companies and served as President of the Contracting Division. In 1983 he began his own equipment rental company, Action Rentals, and AKR Contracting, a general engineering contracting firm. He retired in 1997. Kay has been a life long member of The Church of Jesus Christ of Latter-day Saints where he has served valiantly in many callings such as: Bishop, High Councilor and has served for the past 14 years as the Patriarch of the Tempe Arizona West Stake. His spiritual influence and example has touched the lives and left a lasting positive impact on many. His family will miss his kind smile, the generosity of his time, and his wise and loving counsel. He leaves behind his loving wife, Sandra and 3 daughters, Kaylene (Jerry) Willis, Kathlene (Jeffrey) Hicks and Kristine. Kay is loved and treasured by 3 grandchildren, Brittany (Cody) Fullmer, Taylor Willis and Makayla (Devin) Needs, 2 great-granddaughters, and brother, Richard (Shirley) Rogers. He is preceded in death by his son Dwayne Kay Rogers and sister Sandra Fay Rogers. Visitation will be held on Friday, October 14, 2016 from 6pm to 8pm at the LDS Ahwatukee Knox Chapel. Services will be held on Saturday, October 15, 2016 at 10 am with visitation at 9 am at the LDS Ahwatukee Knox Chapel, located at 4525 East Knox Road, Phoenix, AZ 85044. Arrangements entrusted to Bunker’s Garden Chapel, 33 N. Centennial Way, Mesa, AZ 85201. Our love and prayers to the Rogers family! We have many fond memories of our time in the 18th ward together. Praying for your peace and comfort. Sad to hear this. I always loved my Bishop Rogers when I was a kid back in the old 18th ward. Hugs to you Kristi and god rest of the family. My condolences to Family and Friends. Kay was my hero in the church and played a big part in my spiritual growth and lasting activity. What a wonderful person! Patriarch Rogers was an amazing spiritual man. I was blessed to have met him and to have experienced his kindness and love for all of God’s children. I know he is feeling glorious! I plan to meet hm again in the eternities. Patriarch Rogers was gave my children and I our Patriarchal blessings. I am forever thankful for that. He was kind, warm and funny. I admired him tremendously. He will be greatly missed. I offer my condolences to his family. May you find comfort.